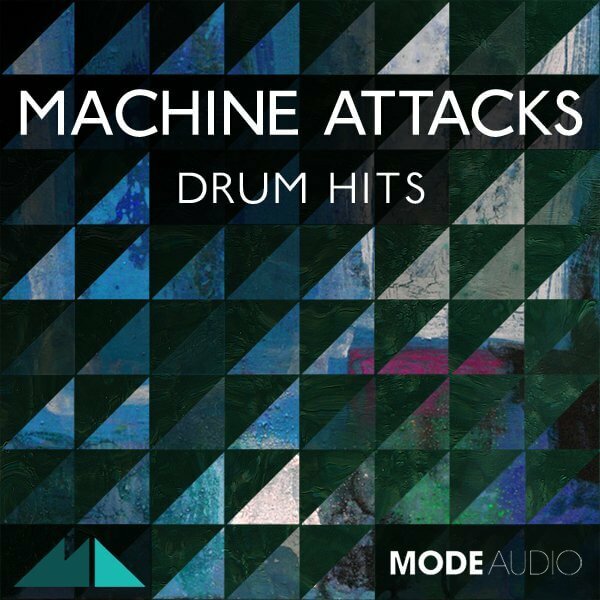 ‘Machine Attacks’ is ModeAudio’s personal, premium selection of specially-crafted electronic drum hits. As the bedrock of virtually every type of music out there, making sure you have a tight, robust and varied selection of drum sounds to call on is paramount to the production process. This is exactly why ‘Machine Attacks’ will make itself at home in your sample library, as your new go-to collection of over 230 kicks, snares, claps, hats and percussion, as well as 12 sampler kits and 5 channel strips to get things sounding big and bold instantly! Forged from every bit of percussive technology available to us, we’ve pumped up the compression and sculpted the frequencies to bring you this pristine pack bursting at the seams with drum hits of every flavour. Phat and skinny kicks; tight and snappy snares; sharp and subtle hi hats (open and closed); cutting and course claps; essential and exotic percussion – Machine Attacks is as diverse and useable as we could possibly make it. These sounds will charge up your mix no matter what style of music you’re into, from EDM, Hip Hop, Bass, Ambient, Beats and beyond. We’ve been incredibly picky over this pack of percussive power, weeding out any filler to leave you with only the biggest and baddest drum one-shots around! Just download, load up and start hitting out those beats. Whether you want to kick out the jams or flood the club, ‘Machine Attacks’ will give your tracks the bombastic boost to get you there!